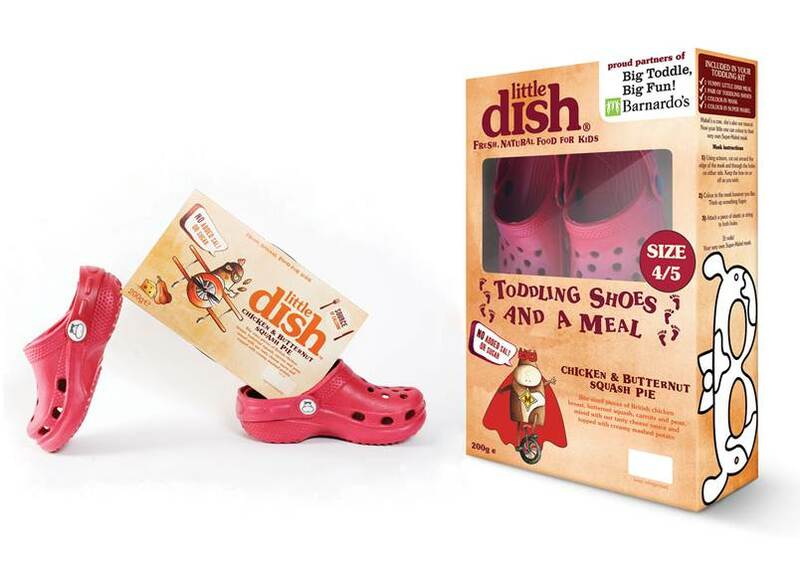 The Adventure of Parenthood: Win a pair of Little Dish shoes! The Barnados Big Toddle, held on 23rd May is the biggest fundraising event for under 5s. This year will see hundreds of thousands of children toddle in a superhero themed sponsored walk. The event is being sponsored by the lovely people at Little Dish, who are responsible for bringing you handy, healthy microwaveable meals for little people. Little Dish are running a fab promotion, selling special packs of their chicken and butternut squash pie with a pair of toddling shoes for only £5!!! This offer will be available in Sainsbury's from the 23rd May 2012 so make sure you head down there to pick up yours! I have five pairs of these funky toddler shoes to give away right here, just by following the instructions below. They come in 3 sizes, 4/5, 6/7 or 8/9 and even come complete with a little mabel badge so make sure you let me know which size you would like if you win. Sceptical as I was about microwavable children's meals, I was amazed at how little junk and how much goodness were actually in them, The amount of salt is around 0.14 g per serving! The meals look and taste amazing and are perfect as the next step in our weaning process. Both Dylan and myself thoroughly enjoy them, and they are ever so handy when you don't have the time or energy to cook a fresh meal. Disclaimer: Little Dish offered me the chance to give you lucky readers this giveaway and sent me some lovely little dish goodies to try ourselves. That event is a fantastic idea. I noticed that Helsinki is having a kids' "marathon" in August, too. What a great way to get kids excited about exercise! Thanks for the giveaway, size 6/7 please.